One of the major problems facing anyone who undertakes research on urban history is that by its very nature the field is incredibly broad. 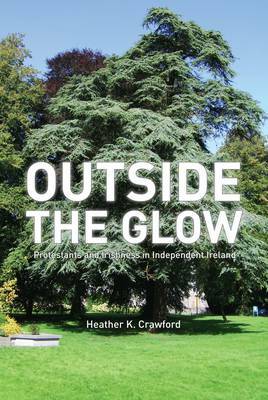 It encompasses architects, art historians, historians and local historians, as well as genealogists and town planners. 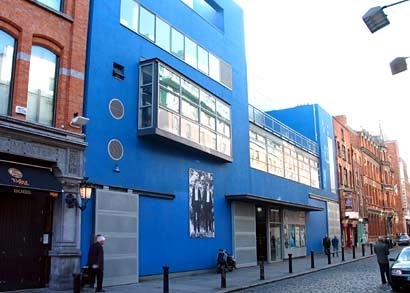 Even with a brilliant resource like Dublin City Library and Archive it can be incredibly difficult to make a detailed survey of all of the different areas you need to be familiar with in order to carry out research on Dublin. 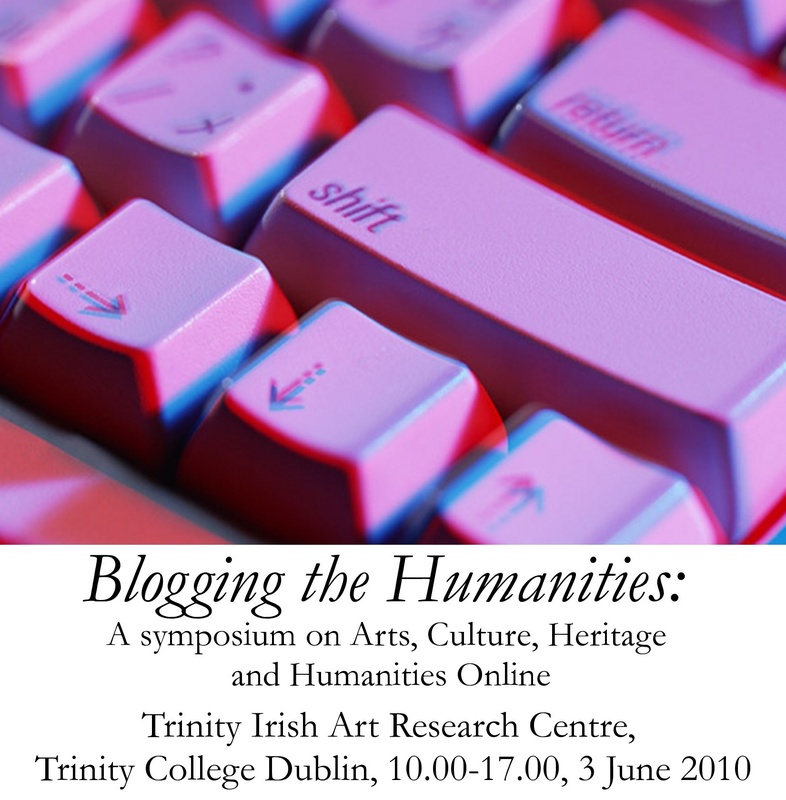 While the Friends of Medieval Dublin have successfully harnessed the interest of those who seek to preserve as much of Medieval Dublin as possible in order to promote research in the area, research iniatives for the modern period still fall short. A new research group funded by the Centre for Irish-Scottish and Comparative Studies (CISCS) in Trinity College Dublin aims to redress this imbalance. Currently showing in the IFI and Lighthouse cinemas in Dublin, Vincere (meaning ‘win’), seems like a fitting title for a film about Mussolini’s younger days and his rise to power. Told from the perspective of his then mistress and fellow revolutionary Ida Dalser, the film follows his early career as editor of the socialist newspaper Avanti! in the heady atmosphere of turn of the century Milan. A leading member of the young, revolutionary contingent of the socialist party, the young Benito broke with the party’s pacifist stance in 1914 and rushed to support the war. In his eyes, war was the perfect opportunity for Italy; a chance to bring about excitement, revolution and national glory. According to the film, it was the ever admiring Ida who sold her draper’s shop to give Mussolini the capital to start his own newspaper, Il Popolo d’Italia. It was through this new daily that he began to build up the mass following that, with the help of his Blackshirt militia, would propel him to power in 1922. Soon afterwards, Ida and Benito’s paths separated. After the war, having abandoned his revolutionary lifestyle for the respectable image necessary for his political career, Mussolini returned to his wife Donna Rachele. Left alone with their child, and convinced she was actually his rightful wife, Ida was unable to forget Mussolini as easily as he had cast her aside. The film follows their troubled lives against the background of the continued rise of fascism. Mussolini and fascism are only present in distant glimpses from then on – in statues, newspapers and newsreel footage – but even as the figure she sees from afar develops into the remote, imperious and even faintly ridiculous character of the dictator familiar to us from history, his presence continues to haunt Ida. 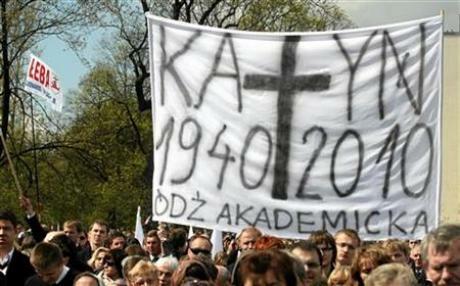 Katyn: a Polish tragedy in two acts? On April 10th a Polish plane crashed at the small airport in Smolensk in Russia. No one on board survived the crash, the most famous victim being the then Polish president, Lech Kaczyński. A month after the crash the causes are still being investigated, but the discussion mainly focuses on history. The crash proved to be cataclysmic for the Polish nation because of the plane’s destination, because of the composition of the passenger list, and the political impact of the tragedy. Surprisingly, the tragic event might have had at least some positive side effects. Was Patient Zero in the 1918-1919 influenza pandemic really mess cook Private Albert Gitchell, from Fort Riley, Kansas, who fell ill on 11 March 1918? This claim by US investigators has gained mileage in the popular press. The idea of being able to identify Patient Zero in a pandemic which killed more that 50 million people is media-friendly, if romantic. 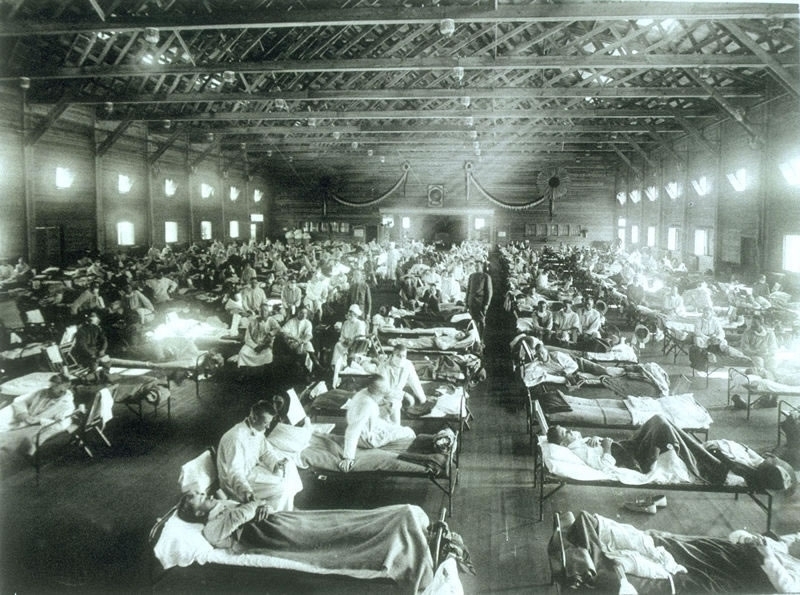 Professor John Oxford, who specializes in the pathogenicity of the influenza virus, in particular the 1918 strain, believes it more likely that the pandemic began in army clearing houses in northern France in 1917. The above photograph is part of a new exhibition at the American National Archives commemorating the American Civil war and shows a racially integrated Union naval crew aboard a ship probably the Mendota. The American Civil War is an event which is considered to have been as key to the development of the United States as the American Revolution. As such, it is an event that has attracted a huge amount of interest from historians, history students, documentary makers and of course the general population. This has led to an outpour and huge consumption of books on the war, reconstruction, slavery and Lincoln and this will no doubt continue over the next few years as commemoration steps up a gear. On the eve of the 150th anniversary of the American Civil war a new exhibition at the American National Archives, called ‘Discovering the Civil War’, which brings together online 6,000 digitized records has sought out new ways of analysing, interpreting and viewing the civil war. While the material is not new it is welcome. The archive hopes that it will encourage visitors to ‘take a fresh look at the Civil War through little-known stories, seldom-seen documents, and unusual perspectives; consider and ask questions about the evidence; listen to a wide variety of voices; and make up your own mind about the struggle that tore apart these United States.’ The availability of so much of this material online is commendable and encouraging. The site is well worth a look offering a good example of how exhibits can be appreciated by those who can visit a location directly. It is geared towards a broad audience and with personal accounts of soldiers on both sides of the war, photographs which depict ‘camp life, routines, war preparations, the moments just prior to battle, and the aftermath of battle’, as well as a section entitled ‘Teachable texts from the National Archives at New York City’ this is an excellent teaching resource. The exhibition falls into two sections; the first ‘Beginnings’ opened 30 April while the second section ‘Consequences’ opens 10 November. The New York Times reviews the first section of the exhibit here. Micro-history has pioneered a whole new genre of historical analysis where we look at history from the ground up. Irish writers have produced some fantastic micro-histories that examine various periods in Irish history and provide a unique insight into the mindset and lives of ordinary citizens. 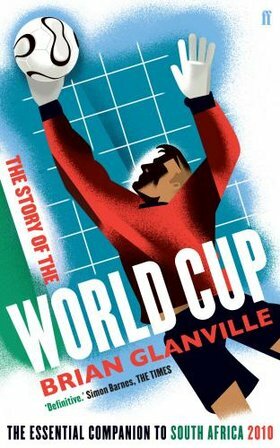 I am a big fan of this type of history and a couple of my favourite Irish micro-histories, which I think can rival even the best European micro-history, include Toby Barnard’s The abduction of a Limerick Heiress (Dublin, 1998), Des Elkin’s The Stolen Village (Dublin, 2006) and Brendan Twomey’s, Dublin in 1707: A year in the life of the city (Dublin, 2009). A personal favourite is Angela Bourke’s The Burning of Bridget Cleary (London, 1999). The in-depth research that Bourke undertook for this book brings Bridget Cleary, her husband and their Tipperary community back to life. It is with this in mind that I picked up Tim Fanning’s The Fethard-On-Sea Boycott which was released earlier this month. The Fethard-On-Sea Boycott recounts the story of a Catholic boycott of Protestant business people in a small Wexford village in 1957. The boycott became so bitter that it took the personal intervention of Eamon De Valera to call a halt to the boycott. The incident started with a family dispute. A Protestant woman, Sheila Cloney, argued with her Catholic husband, Sean, about which local school to send their daughter to. The local Catholic clergy intervened and, with mounting pressure from both within her home and outside, Sheila left the village with her two daughters and went to Scotland. The boycott was carried out under the direction of the local parish priest who maintained that it would be upheld until Sheila returned her daughters to her husband for them to be sent to the local Catholic school.